You've been warned. 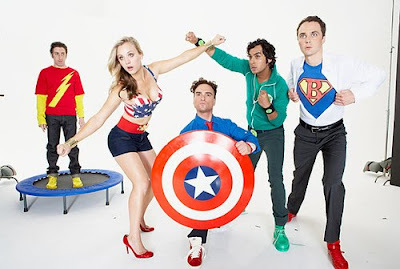 This post is a Big Bang Theory fest. I missed these guys. 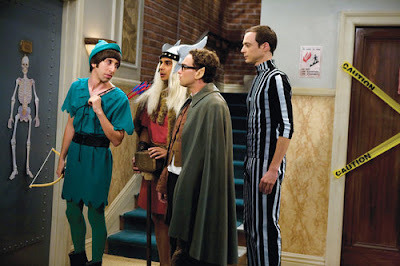 Lookit from the first photo, they're back from the North Pole, looking like cave men, except for Sheldon who looked like a villain. :) Can't wait for Season 3 to air! The nerds are back from the North Pole! 4 nerds and a blonde. 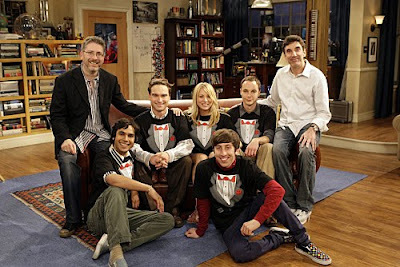 The cast with creators Chuck Lorre and Bill Prady. super excited na ko for season 3!